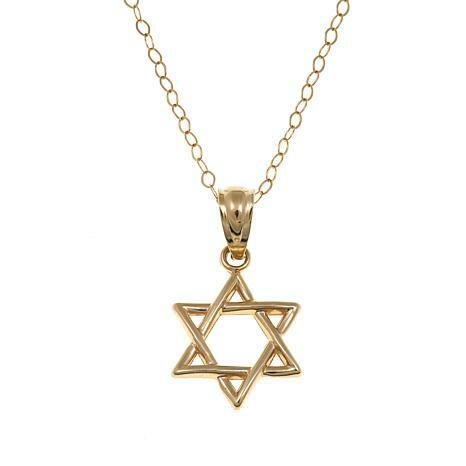 Give your little girl a symbol of her faith with this pretty Star of David Pendant. 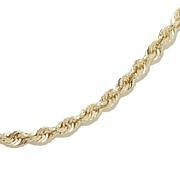 Make of polished 14K yellow gold, it comes with a delicate cable chain necklace so it's ready to wear right out of the box! The gold gram weight stated represents the weight of the gold including embellishments. I LOVE THE STAR OF DAVID. I AM CHRISTIAN & it's my way of supporting & acknowledging our Jewish roots in Christ. 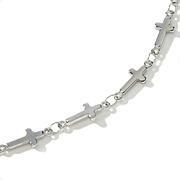 My Granddaughters' now have matching necklaces with their new earrings. 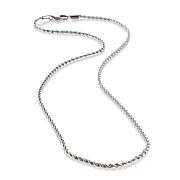 Excellent quality and still in time for Chanukah gift giving!